I am not sure why it has taken me this long to cycle up to Signal de Bisanne. Perhaps fear! 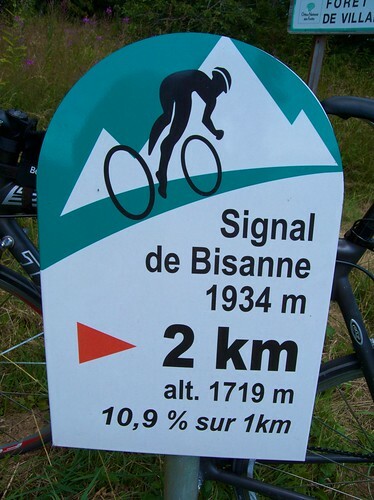 I am not sure why it has taken me this long to climb Signal de Bisanne. Perhaps fear! 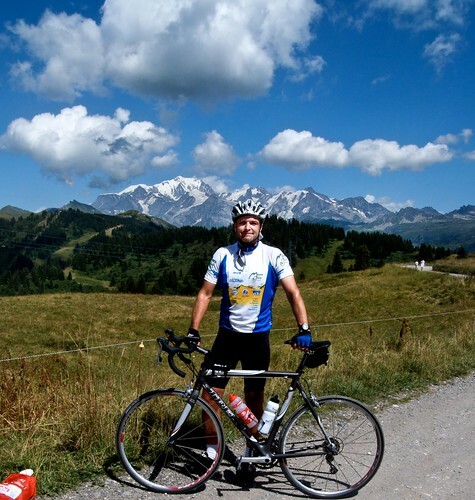 A great 84 km loop starting/ending in Megève featuring one of the hardest climbs in the north French Alps. The first 20 kms are fast, mainly downhill. After leaving Megève, the route soon joins the descent through the Gorges de l’Arly. A beautiful stretch, but occasionally fast traffic. Just before Ugine, there is a little turn off for the Col de la Forclaz de Queige. Quiet roads again! This was my first time on this very pleasant climb. Roughly 5.7 kms and 460 metres ascent – so roughly 8% average. A nice appetizer before the main course. Forclaz mean “narrow gap” and there are several Col de la Forclaz in the north alps. 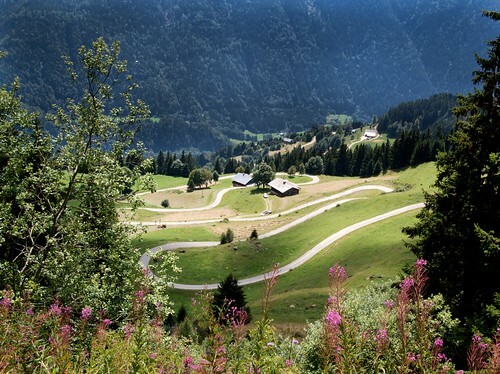 The most famous two for cycling are the Col de la Forclaz in Switzerland above Martigny – details here – and the Col de la Forclaz de Montmin above Lake Annecy – details here. In the center of the tiny village of Quiege it’s easy to miss the left turn onto a little road (see map) …. but it’s worth looking – as it’s far nicer than the main road that runs parallel well below. I passed a couple of alternate routes up to Signal de Bisanne, but bravely (stupidly?) decided to descend down to Villard-sur-Doron in order to do the entire climb on the classic route. The “Mythic” Signal de Bisanne? 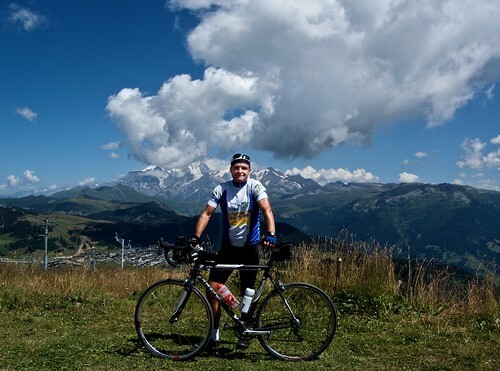 The Beaufort region has 20 or so signed biking routes for every level – flattish to Hors Categorie. And the Beaufort tourist office sells very nice route cards for all the routes (see above). Only two of the routes merit the “Mythic” label. Signal de Bisanne and Col du Pré. Even the Cormet de Roselend doesn’t merit this designation. Each of the 14 kilometres are signed, kindly reminding us of how steep the next kilometre will be. Pssssst Eric: Skipping the turn off for the very top of Mont Bisanne and heading straight to Saisies nullifies any climb claim, as these last 2 kilometres are nasty steep. Signal de Bisanne is the very top of the mountain. 360 degree panoramic views – with Mont Blanc dominating. Next I descended to Saisies and made a small detour up to Col de la Lézette a couple of kms above the village. This appears to be a popular start point for hikers. Great views again. I was exhausted now. 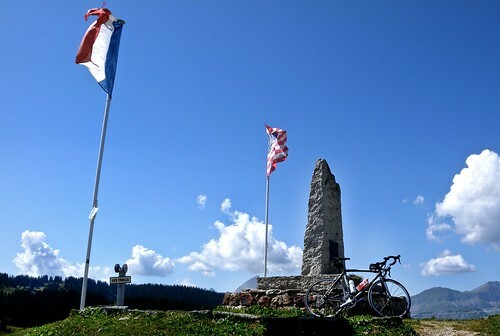 But after a quick photo of the WW2 memorial at Col des Saisies, the rest of the route back to Megève was thankfully pretty easy. Félicitations !! Un monstre, je rêve de le faire… Tu as choisi une bonne journée pour la vue. Et tu as même eu droit à un panneau au Col de la Lézette, qui ne devait pas exister l’année dernière. Que vouloir de plus ? Merci. Grâce à toi, j’ai trouvé Lézette. Actuellement, Il y a beaucoup de travaux là — et évidemment le nouveau panneau. You are right, so I will just keep my mouth shut. Except for a “Well done!” of course. Will, Nice. The view of Mont Blanc brings back some great memories. Nothing quite like a col that gives a great view of the hairpins you have climbed! We chose the wrong day to do this on Saturday……….after megeve-les saisies- hauteluce-cormet de roseland-arreches we decided to finish with this in the afternoon heat. Big big mistake but what a classic!! Just back from pretty much the same ride but with a variation from Crest Voland. Follow the D71b towards Le Cernix where it eventually becomes the D71 then crosses the Col de la Forclaz. Very quiet, interesting road but also a pretty sketchy descent. Very variable road surfaces, some tight corners and not much help if you have a major problem. And I agree with Will; the main road to Beaufort is rotten. Where are all the trucks going! ?